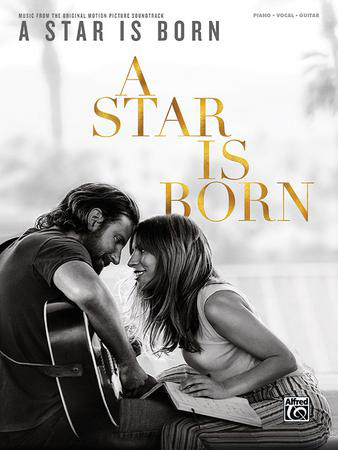 Presented here is the songbook featuring the soundtrack to the 2018 box-office hit A Star Is Born, starring Lady Gaga and Bradley Cooper. Original, full-color photography and movie artwork within this beautifully packaged portfolio help provide a glimpse into the music and visual aesthetic of this Hollywood classic's third remake. Titles: Black Eyes; La Vie en Rose; Maybe It's Time; Alibi; Shallow; Music to My Eyes; Diggin' My Grave; Always Remember Us This Way; Look What I Found; Heal Me; I Don't Know What Love Is; Is That Alright? ; Why Did You Do That? ; Hair Body Face; Before I Cry; Too Far Gone and I'll Never Love Again.